“Blessed is he who expects nothing, for he shall never be disappointed.”… said someone, once (it’s that kind of specificity that makes this blog so compelling… right?). And he/she had a point. 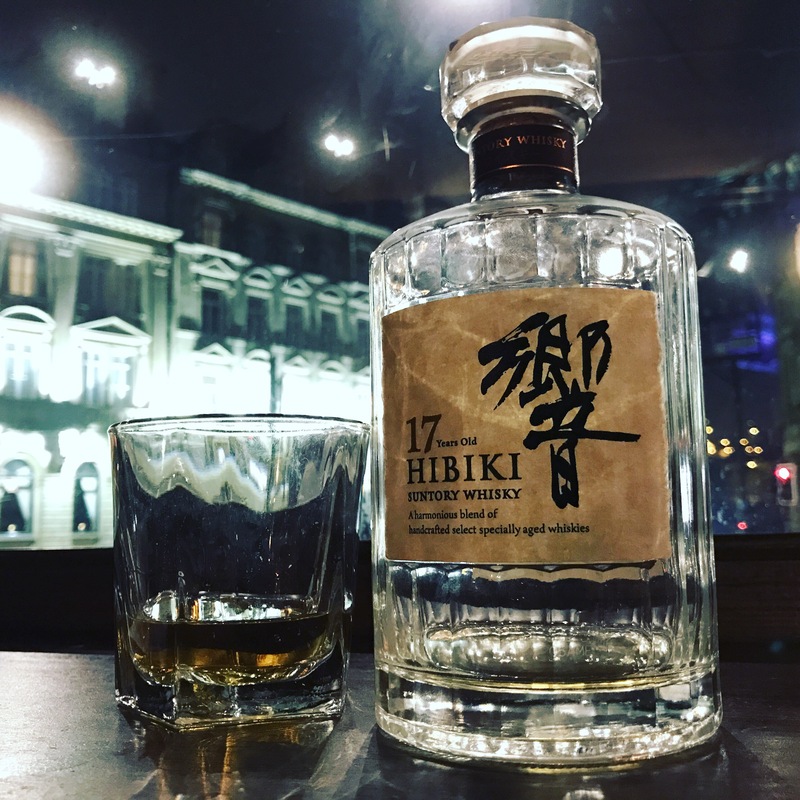 Suntory Hibiki 17 year held an air of mystique for me since I started to get into Japanese whisky. Not only is it held in very high regard by anyone “in the know”on Japanese whisky, but it also features as the whisky of choice that Bill Murray’s character promotes in one of our favourite films: Lost in Translation. For relaxing times…. So having flirted with the idea of buying a bottle (it’s currently extremely hard to get hold of for less than £200 in the UK, mostly from overseas websites; It had previously been available for closer to £95 when supplies were still fairly abundant!) I gave up on the idea, and decided this might just be “one that got away”. Little did I know my chance to try the fabled golden elixir WOULD arise soon after, as I was lucky enough to receive one of the Drinks by the Dram advent calendars in the lead up to Christmas (when else!) 2016. Included within was a dram of the Hibiki 17! So what did I think? Was it worth the build up and anticipation? Well firstly, both are extremely nice whiskies. So smooth and easy to drink. It’s not always the case that you will prefer the older, more expensive expressions, but in this case I have to say I think the 21 year is more to my taste. The more sherried, peppery notes are right up my street. As for the 17… we’ll maybe I expected too much. Don’t get me wrong, it’s a fantastic whisky, but I was kind of expecting it to blow me away. Would I buy a bottle? If it was still £95 this would be on my shelf tomorrow, but I do think that anything over £150 is vastly overpriced for this particular dram, there are much more exciting and complex drams out there in that price range, and you are paying for the scarcity. Ironically, I tried this dram twice in a week having waited so long. One of the pubs in Newcastle, the red house (nestled just off the quayside near the Tyne bridge), had a bottle and I was in there on Valentine’s Day after a lovely meal with my wife. I had to buy a dram (a reasonable £12!) and it was the last dram in the bottle so the barman kindly gave me the bottle too, a thing of beauty. So I think that leaves hibiki 17 in the category of been there/done that/got the bottle. Time for a new elusive whisky to obsess over!